Leather is a sensitive material to bond; fortunately, Cyberbond makes leather adhesives you can rely upon to get the job done. Our leather adhesives are consistent in quality, guaranteeing that your leather bonding needs will be successful – every time. 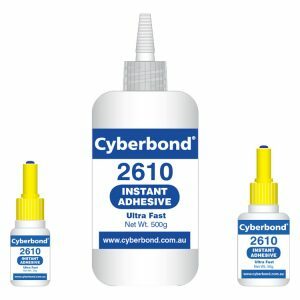 At Cyberbond, we have the ability to get you a single case for small applications as well as mass quantities of leather glue for your large-scale production requirements. As an international manufacturer of leather adhesives, Cyberbond is depended upon by industries all over the globe to meet their needs for leather bonding. Our leather adhesives come in a variety of properties to meet your unique needs such as high strength, low viscosity, quick set time, variety of colours and more. Cyberbond is committed to providing only the highest quality leather adhesives and we do this through our ISO 9001:2008 certification, ISO/TS 16949:2009 certification and ISO 13485:2003 certification. For more information about the leather adhesives that we offer, please see below.